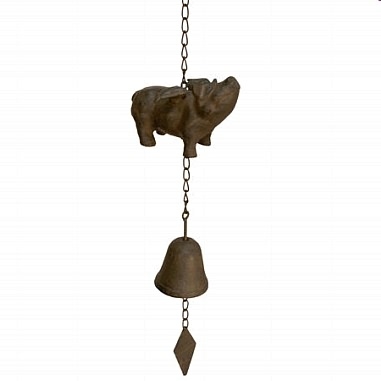 Here's a little flying pig who is eager to send some chimes through the home or garden. Use him as a wind chime or as a bell but he comes with the hopes of making someone laugh. Cast iron with a rust finish. Dimensions: 29"H x 5" x 2"